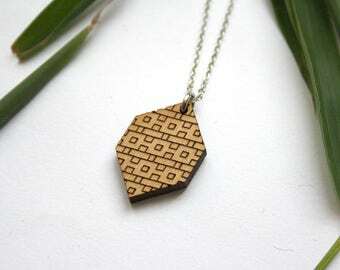 Wood long hexagon necklace, geometric jewel with triangle engraved. 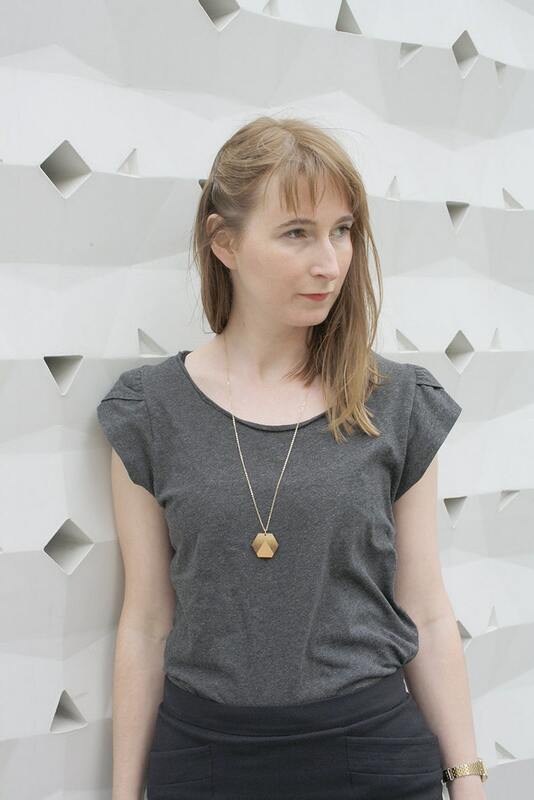 ▲▲▲ The hexagon shape is laser cut and laser engraved, then assembled by hand. Brown color gradient triangle. Wooden jewelry made in France. 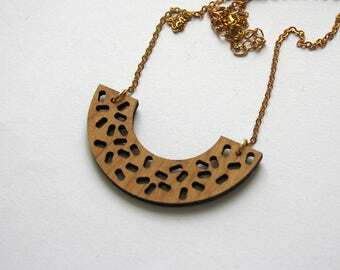 ▲▲▲ Wood necklace inspired sunset and landscape. Wood hexagon shape size: 3 cm (diameter) / 1,5 cm (each side) = 1,18 inches (diameter) / 0,59 inches (each side). Chain in brass, gold colour: 70 cm (= 27,55 inches). ▲▲▲ Similar products are available in my shop (geometric and graphic jewelry).